I love running. Like. A. Lot. I got started ten years ago, and thus far, I’m pleased with the road miles I put in. Still, running hasn’t always been a smooth ride. To be honest, I’ve made many training mistakes along the way. I’m not perfect, I don’t expect myself to be — and you don’t have to be either. How many mistakes have I made in my running journey? More than a few. One that sticks out in my memory was skimping on high-intensity interval training (HIIT). The first three years of my running lifestyle consisted of working my a$$ off to no avail. My performance stalled and I incurred a bunch of injuries. I also gained a lot of weight because I was doing the same run over and over again. All that being said, once I added interval sessions to my workout plan, my whole training approach has never been the same. Just a few weeks in, I started noticing marked improvements, not only in my running performance but as well as total body strength and overall athletic power. I don’t want you to make the same mistakes I made, so today’s post is an introduction to HIIT training. Don’t get me wrong, I’ won’t go heavy on theory. I’ll also share some of my favorite running and non-running HIIT routines that you can start doing right now. So, what the heck is HIIT, and why is it so effective? High-intensity interval training is where you alternate between intense anaerobic intervals and low-intensity aerobic activity. The typical workout will have you doing 20 to 60 seconds of intense exercise that comes close to your peak output ability. The interval is then followed by a rest period of low to moderate activity. Next, you repeat the cycle for a total of 15 to 30 minutes of working out. This on/off cycle is a sharp contrast to the steady-state cardio that most people do, and that’s what makes HIIT so much more effective than that type of training for increasing fitness. So, how do you get the most out of HIIT? Simple. Perform the high-burst intervals at your peak level of effort. As a general rule, you should raise your heart rate to its max, then rest for a set period before repeating. That’s the secret sauce. Start with a warm-up. Check this routine. First interval: exercise at maximum power for 30 to 60 seconds. Recover for 20 to 60 seconds (or longer, depending on the workout). Repeat step (2) and (3) seven to ten times. Cooldown. Check my routine here. Let’s start with this Australian study. Subjects following a 20-minute high interval routine shed six times more body fat than the steady-state cardio group. What’s the takeaway here? Simple. When looking to burn fat, go hard and short. This is what I like best about HIIT, as it takes the “I don’t have time for exercise” excuse out of the equation. When I started doing HIIT, I had a hard time believing that exercising for a shorter period of time would have such an impact on the scale. How could that be? Incredibly, what I found was that where I had been at one of the dreaded weight plateaus despite putting in roughly 15 miles per week, when I shifted to doing quick-burst running and then walking recoveries for a total of 30 minutes a day, the scale finally budged – plus I had more time on my hands! Thanks to excess post-exercise oxygen consumption (EPOC), HIIT workouts help you shed more weight, even at rest. How much? As much as 100 more calories post-training, according to a study out of the East Tennessee State University. Though 100 calories don’t seem like much, they can add up over time. HIIT can help you lose fat without losing muscle. A study from the Journal of The International Society of Sports Nutrition revealed that even in the absence of strength training, HIIT has helped subjects build muscle. Not only does it create an anabolic effect, but it also increases fourfold the production of human growth post training. With interval training, you reduce junk volume without sacrificing endurance gains. That’s the premise of research out of the McMaster University in Hamilton, Ontario, which showed that performing 2.5 hours of HIIT was as effective as doing 10.5 hours of standard endurance training. To put this into perspective, going hard and short is four times more effective than traditional cardio. That’s quite a feat, isn’t it? This sounds pretty dramatic, but after reviewing my own experience, I have to say that I couldn’t agree more. Doing plenty of interval workouts while reducing my weekly mileage has helped me become a faster runner, and has had the added bonus of helping keep me injury free. As you can see, when it comes to fitness and health HIIT can be a real game changer. But that doesn’t mean that it’s all sunshine and roses. Think twice before trying HIIT when you’re recovering from an injury, if you have any cardiovascular or circulatory problems, or if you’re really out of shape. In these cases, consult your doctor to assess your current condition and review the workout options that are best for you. I cannot emphasize this enough. Got the green light from your doctor? Good. Now, how do you get started without risking injury or burnout? Are there any prerequisites? Once you have accumulated these habits, you have what it takes to add high-intensity training without concern about hurting yourself. If this isn’t the case and you’re a beginner, invest a few months into building up your stamina. How? By following a well-rounded running program for a few months. Once you’ve done this and think you’re ready to start HIIT, begin with just one session per week. Then you should check out my Runners Blueprint System before you start doing HIIT workouts. My system was specially designed for beginners who either want to start running or take their training to the next level, but have little clue on how to do it. And don’t worry, my ebook is written in a conversational, jargon-free, style. All you need to do is download it, follow the simple instructions, then start seeing results ASAP. 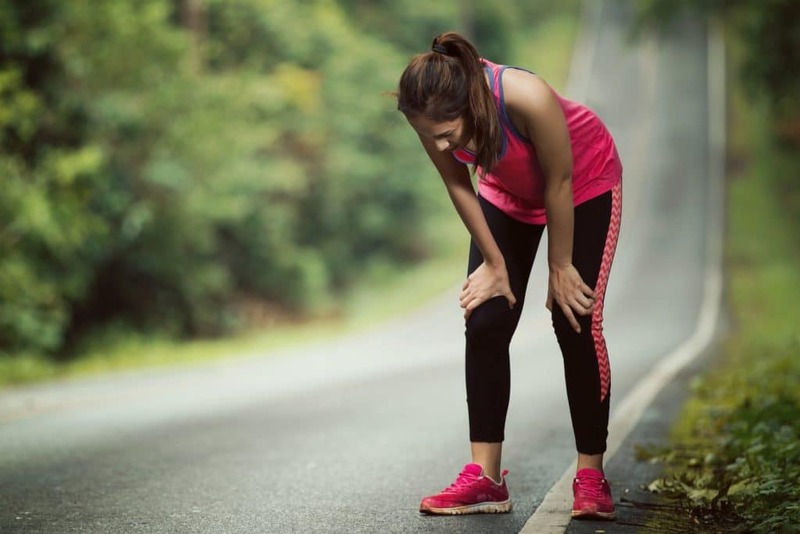 The seven most common running injuries….how to deal with them before they progress into major ones! Click HERE to get started with The Runners Blueprint System today! Here are 15 HIIT variations to help you get into the best shape of your life. Pick one or two workouts to add to your weekly program. Make sure you incorporate at least one day of rest between each workout. Sprints are the most common form of HIIT. They’re simple, quick and will boost your fitness level like nothing else. Start with a proper warm-up. Choose a suitable sprint distance, then perform your first interval at 80 percent max effort. Take between 30 seconds and one minute to recover, then repeat the process six to eight times. At the end of your workout, cool down for five minutes. Once you’re comfortable sprinting on a flat surface, give hill reps a try. These are ideal if you’re looking to build killer lower body speed and strength. Pick a hill with a steep slope that’s between 100 to 300 feet long. As usual, start your session with a warm-up on a flat surface, then sprint up the hill. Jog back down for your recovery, then repeat the cycle five to eight times. Finish the session with a 5-minute slow jog. I’m a big fan of bodyweight exercise. They’re convenient, easy to learn and scalable, as long as you’re performing them using proper form and staying within your fitness level. Here’s a routine I’d recommend for beginners. Do it regularly, and you’ll build the total body strength and endurance you need for more challenging workouts. One of my favorite HIIT workouts is what’s known as the Tabata protocol. Its premise is simple: perform 20 seconds of full effort exercise, recover for 10 seconds, then repeat. Here is a Tabata-inspired running workout. Begin with a 10-minute warm-up run at a comfortable pace, then run for 20 seconds at your fastest pace. Afterward, jog slowly for 10 seconds. Repeat this on-and-off pattern eight times. Last up, do a 5-minute slow jog as a cool down. Want more challenge? Perform Tabata bodyweight training. This will test both your aerobic and anaerobic ability, so be careful and stay within your fitness level. Rest for one to two minutes. Repeat the circuit two to three times. Finish the session with a 10-minute cool-down. Looking for an extra edge with your training? Try the HIIT time challenge. Record your result, then during your next session aim to beat your record. I’m a big fan of jump rope workouts. These burn mad calories, improve your foot speed, increase coordination, and boost agility. What’s not to like? Start with a 5 minute forward jumping rope exercise at a comfortable pace as a warm-up. Afterward, put the rope down and do a set of full-body dynamic stretches. Rest for two to three minutes, then repeat the circuit two to three times. Also known as explosive training, plyometric training requires your muscles to make use of maximum force in minimum time. When doing this workout, go explosive for 30 seconds, then recover for another 30 seconds, move to the next exercise, and repeat. Rest for one to two minutes after completing the whole circuit, then repeat it two to three times. For a greater challenge, consider holding dumbbells at your sides while doing the workout, or wear a weighted vest. I don’t believe in “spot reduction” exercises, but I’m pretty sure that HIIT training can tone your midsection. It’s also a fun way to exercise your abs: HIIT style is much more enjoyable than doing crunches. Medicine balls are usually lightweight. They’re designed for simple grip and maneuverability, and they’re also a powerful tool for HIIT styled workouts. Med ball exercises target multiple muscle groups, boost coordination, increase endurance, and improve grip strength. Sled training is one of the most grueling workouts I’ve ever done. The first time I ever tried it I truly thought I was going to die, but thanks to a training buddy that kept motivated, I was able to pull it through. The premise is simple: push the sled from point A to point B as hard and fast as possible without sacrificing form. That’s it! If it’s your first time trying this workout, go light and slow. Start out with a 35-pound slate or lighter. Only after you’ve nailed proper form should you gradually add more weights and reps. This I learned the hard way after my first go at sled workouts when I thought I was Superman, I couldn’t sit comfortably nor move my arms for two days! Load a sled on each side and push it for the desired distance. Then rest for 30 seconds and repeat five to seven more times. What’s good form? Keep a straight line from your head to your ankle and drive your feet diagonally into the ground with each step you take. The power needed for the forward momentum must come from your hips and legs, not your arms. You cannot do HIIT workouts without throwing some CrossFit WODs (Workout of The Day) into the mix. After all, CrossFit philosophy revolves around the principles of HIIT training. I like the “Fight Gone Bad” WOD because it’s intense and will have you doing all sorts of plyo, resistance, and cardio exercises. The filthy 50 is another brutal CrossFit workout loaded with rigorous exercises guaranteed to push you to your breaking point. Amazing, right? If you can pull this off in under 30 minutes, then you’re in remarkable condition! Rope training is the most recent addition to my training regimen, and goodness, it’s freaking tough! Heavy rope exercises target every major muscle in the body and will push you to the breaking point if you’re not careful. One minute of start jumps. Inside this guide, you’ll learn how to start running and lose weight the easy and painless way. This is, in fact, your ultimate manifesto to becoming a faster and a stronger runner. And you want that, don’t you? There you have it. The above high intensity intervals routines are some of the most efficient and powerful workouts you can ever do to improve your fitness and health. Now It’s up to you to add HIIT routines to your workout plan. Feel free to leave your comments and questions below, and as always, thanks for stopping by. Keep running strong! 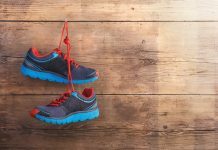 Are You Making These 5 Running Shoe Buying Mistakes?